Angela joins the guys to give an in depth report on Jack in the Box’s new Wakey Bakey, an update on her Eero experience & 23AndMe. Plus we talk about the New York trip, Google’s latest announcements & more! + (00:00:06) – Society is ruined and everything is awful. + (00:05:42) – Chris and Angela talk about the each other’s surprising lack of life skills. + (00:13:02) – New York puts pressure on your wallet. 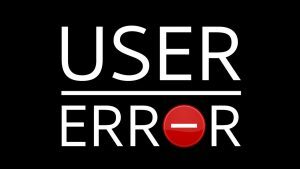 + (00:19:05) – #AskError: what movie totally messed you up? + (00:27:27) – An Eero update. + (00:33:14) – Jack in the Box’s wakey bakey. + (00:37:20) – Chris talks Tribe, by Sebastian Junger. + (00:44:02) – Google Home Assistant updates & more. + (01:02:10) – #AskError: if you could put 10k hours into a skill, what would you learn? + (01:07:42) – Is Angela a tech whisperer?